"स्वरानंद" हा, रसिका तुझ्याचसाठी ! 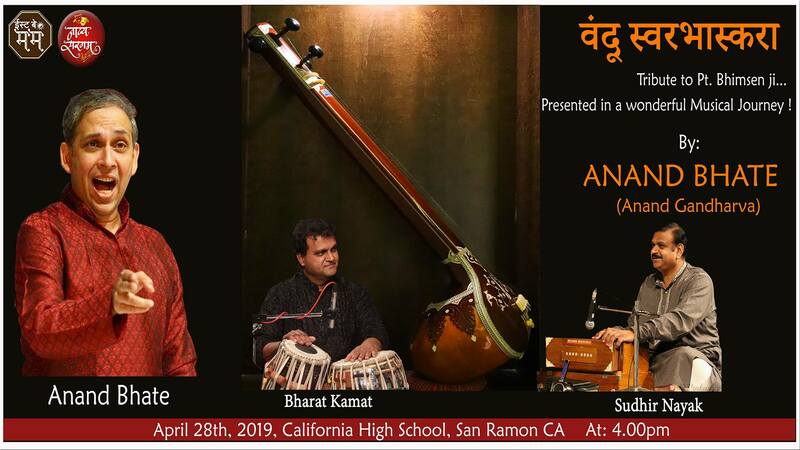 वंदू स्वरभास्करा is a tribute to Pandit Bhimsen Joshi Ji offered by his Disciple Anand Gandharva. 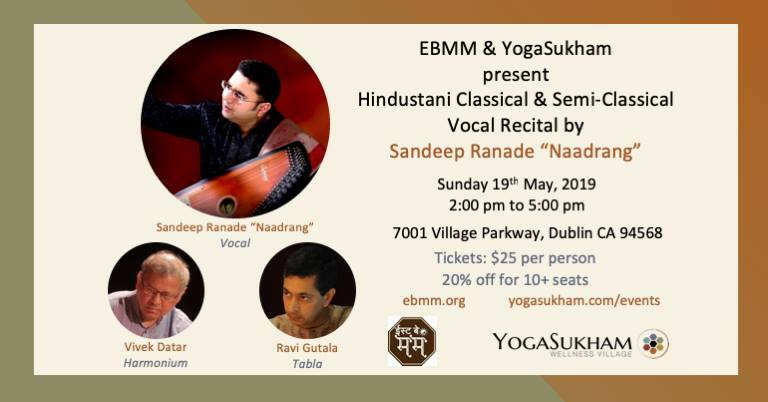 Pandit Bhimsenji made his mark on different genres of music and therefore this concert will include a great variety of music right from Classical Music, Santwani, Bhavsangeet to Hindi and Kanadi bhajans. Anand Bhate will also talk about his experience of learning from the Legend himself.. Contact us for posting your information here. East Bay Marathi Mandal is a progressive, cultural, and communal organization. Mandal's vision is to celebrate, promote and preserve the rich Indian heritage by actively engaging our community. We propagate this vision by organizing cultural and creative art events. Our ultimate goal is create a morally strong traditional legacy which encourages our future generations to work toward fulfilling the Mandal’s objectives. © 2006 East Bay Marathi Mandal. All Rights Reserved.